With its headquarters in Belgrade and the main production facility in Sombor, Serbia, Green City International has become an integral part of the waste management industry and the Serbian society overall. Since the social responsibility on local and international markets makes an important part of the managing process of Green City International from its very beginnings in 2013, that kind of ethical management plays a truly big role in the company’s working framework. 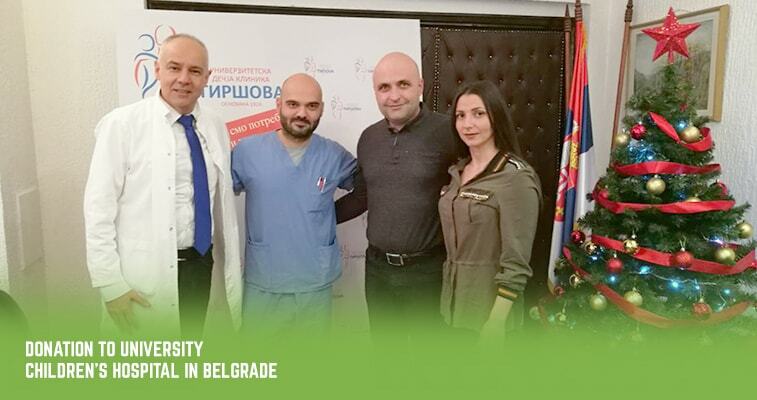 Therefore, it is no surprise that Green City International came into the specific donation process upon the agreement with the University Children’s Hospital Tirsova based in Belgrade. 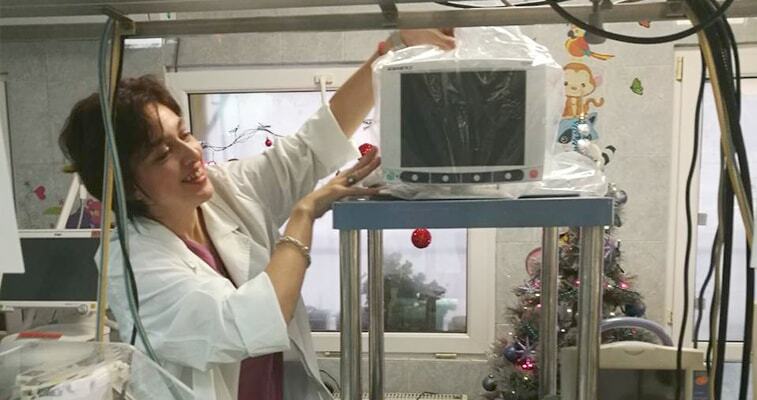 The Green City International has recently donated diagnostic apparatus to the University Children’s Hospital Tirsova. The donated apparatus is the cerebral somatic non-invasive oximeter, which is dedicated to monitoring and scanning regional and somatic oxygenation. In other words, this monitor has its purpose in scanning brain and body circulation in children, and it can be placed on four spots on the body at the same time. It was purchased upon the agreement with hospital’s staff, based on their recommendations and the fact that this particular scanner was lacking in their medical equipment. It is meant for the intensive care monitoring, so this apparatus will be put to use in all three Intensive Care Units at the Tirsova hospital – pediatric, neonatal (for babies up to one month of age), and the surgical intensive care, dedicated to children recovering from the complex surgical interventions or traumas. The official donation ceremony was held on December 27th, 2017, in the offices of the Tirsova hospital, along with the presence of Dejan Stojanovic, director of the company Green City International, and MD Zoran Radojcic, director of University Children’s Hospital Tirsova. University Children’s Hospital is the leading institution of the Faculty of Medicine within the University of Belgrade, dedicated to the pediatric medicine in general, representing an educational, scientific, and a research center. It was founded in 1924, and this health care institution has been providing top quality care for children ever since. The hospital is specialized in all fields of diagnostics and conservative treating, surgery, anesthesiology, rehabilitation, and psychology. Over 14.500 children per year are treated at the University Children’s Hospital. Approximately 9.300 surgeries (100 laparoscopic) are being performed each year, along with five transplantation surgeries, 260 heart catheterizations, and 51.000 radiological procedures. Besides that, over 164.000 exams and 415.000 interventions per year are done on an outpatient basis. All of that makes the Tirsova hospital one of the largest health centers in Serbia, and Green City International is proud to have contributed to its functioning throughout this particular donation.